If you thought 3D printers were only good for building tiny plastic toys then you’re mostly right, especially when it comes to desktop models. However, there are people using the technology to realize grander designs, to create bridges and even buildings. 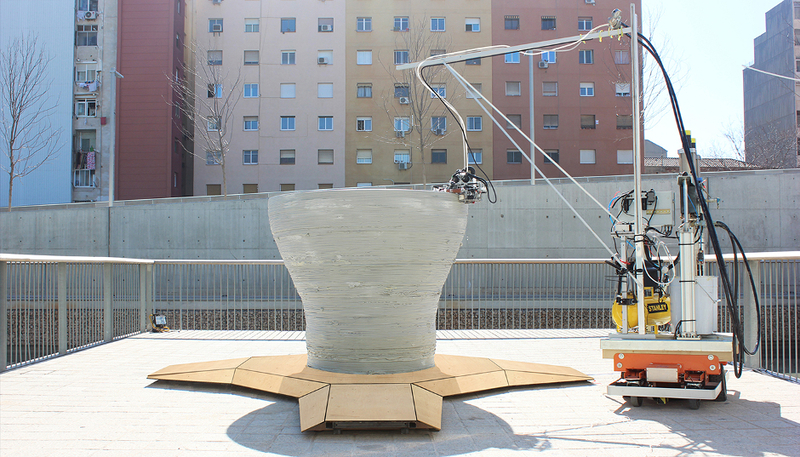 Here are 10 projects promising to make 3D printing bigger and better. 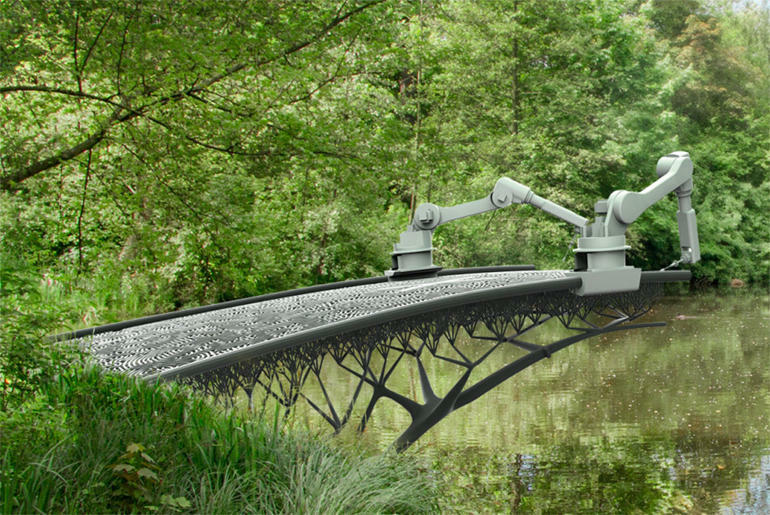 A Dutch start-up, MX3D, plans to use robotic arms to weld layer upon layer of molten steel together into a steel bridge across a canal in Amsterdam. MX3D hopes to begin work on building the bridge, using the process seen in an artist’s impression above, in September. This five-storey building was built using a 150-meter long 3D printer, using “ink” made from recycled construction waste. 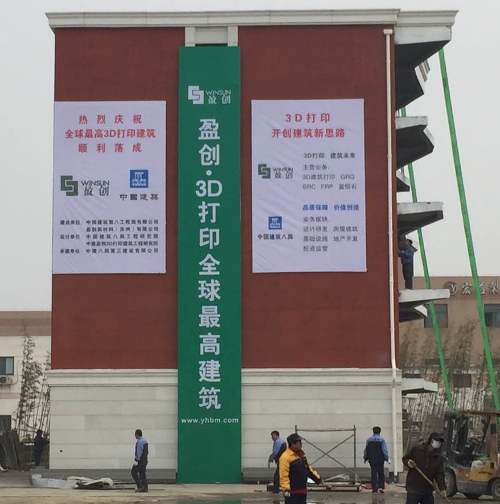 When it was built earlier this year, the structure in Suzhou Industrial Park, Shanghai, China, was claimed to be the “world’s tallest 3D-printed building”. 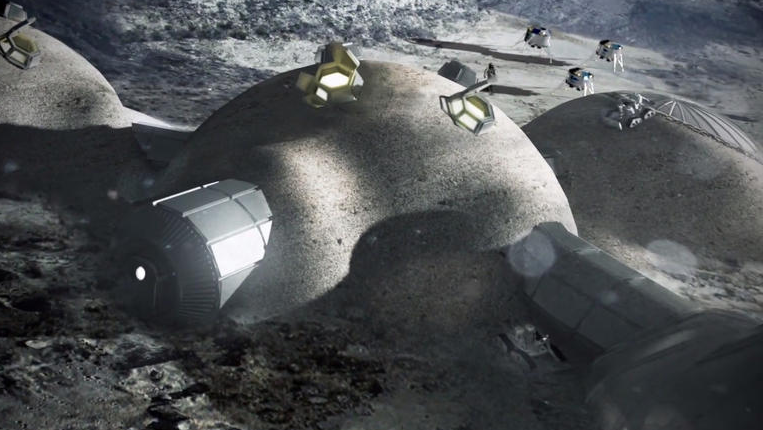 This concept for a 3D-printed lunar base was devised by the European Space Agency with architects Foster+Partners. Their vision is for two robot 3D printers to mix lunar soil with other materials and layer it over an inflatable dome to form a protective shell over a moonbase, which could house four people. The Strati is an electric car with a 3D printed body and chassis made of just 40 parts, compared to more than 20,000 in a typical vehicle. The vehicle is built from a single block of ABS plastic reinforced with carbon fiber and takes 44 hours to print. 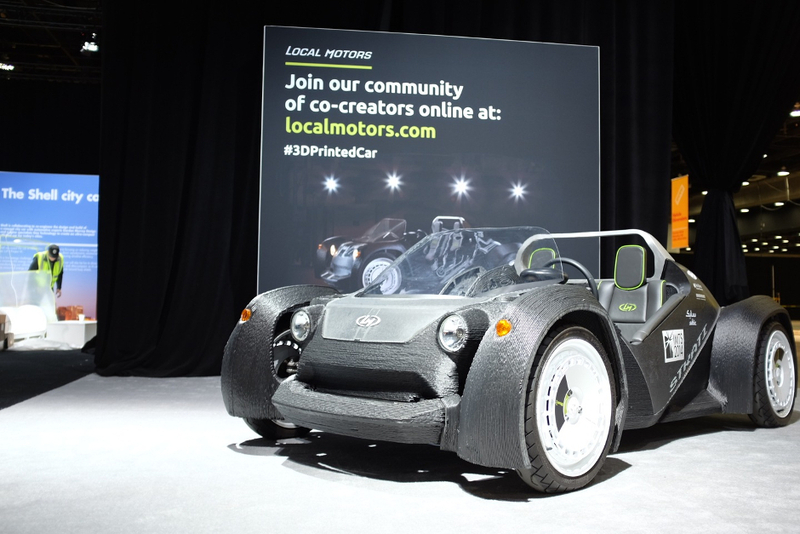 Manufacturer, Arizona-based Local Motors, says the car, due for release in 2016, will have a top speed of 50mph and range of about 62 miles. 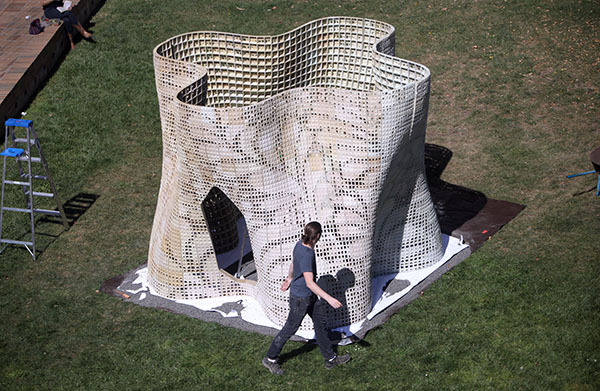 This nine-feet high pavillion measures 12 by 12 feet across and is made up of 840 3D-printed bricks. The structure was made by researchers at UC Berkeley, who developed a new type of iron oxide-free Portland cement polymer formulation, which allowed for faster and lower cost construction than alternate materials for 3D-printing structures. Even though it’s described as a house, this is at best a 3D-printed room, and a rather cosy one at that. 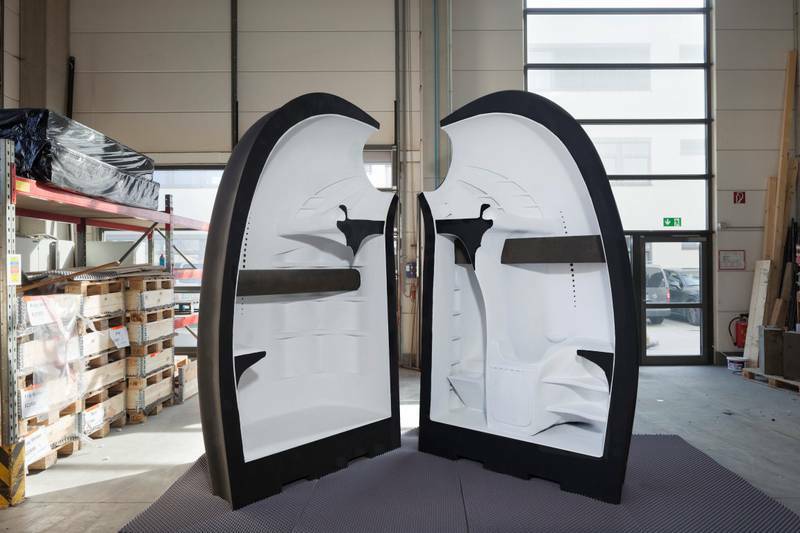 The pod, created by students in the US and England, packs a toilet, kitchenette, and furniture into a compact structure. It took 60 hours for the voxeljet VX4000 printer to make and cost about €60,000. This plane is full of 3D printed parts. This Airbus A350 XWB plane has more than 1,000 flight components made using high-end additive manufacturing 3D printers. The A350 XWB is Airbus’ extra wide body plane that seats about 315 passengers and has a range of 7,750 nautical miles. The parts were made out of ULTEM 9085 resin using an FDM 3D Production Systems machine. 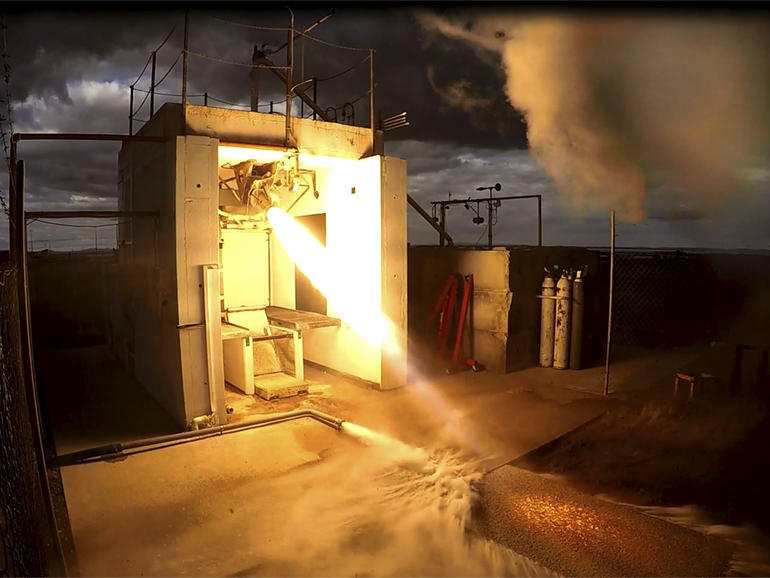 Satellite company Rocket Lab says its Rutherford rocket engine is the first of its type to use 3D printing for its primary components. All its parts – the regeneratively cooled thrust chamber, the injector, the pumps and the main propellant valves – can be printed from titanium alloys within about three days using a 3D printing technique called electron beam melting. Traditionally manufacturing the parts would take months, according to Rocket Lab. Resembling a Minecraft creation made real, this 3D-printed head by artist Miguel Chevalier depicts the Roman God Janus, who legend claimed could gaze into the past and the future at the same time. 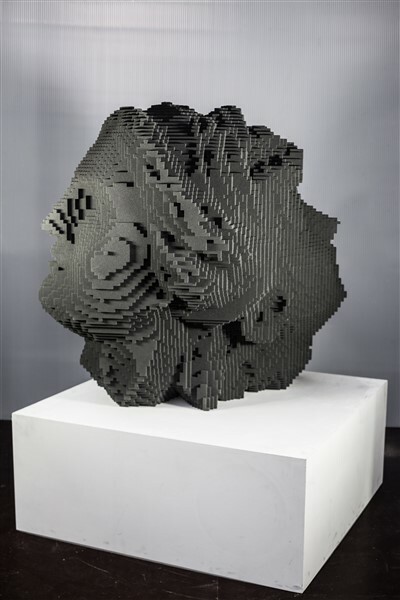 Printed in 40 hours as a single block using a voxeljet VX4000 printer, it weighs 120kg and measures 1000 x 1000 x 820 mm. The Institute for Advanced Architecture of Catalonia claim their Minibuilder robots can construct large structures of many different proportions. The bots use robotic arms, rollers and vacuum suction cups to build layer by layer, as seen above. Nick Heath is chief reporter for TechRepublic UK. He writes about the technology that IT-decision makers need to know about, and the latest happenings in the European tech scene. Incredible! 3D printing is certainly the future.